NASA’s Cassini spacecraft captured color images of Earth and the moon from its perch in the Saturn system nearly 900 million miles (1.5 billion kilometers) away on July 19. Meanwhile, MESSENGER, the first probe to orbit Mercury, took a black-and-white image from a distance of 61 million miles (98 million kilometers) as part of a campaign to search for natural satellites of the planet. 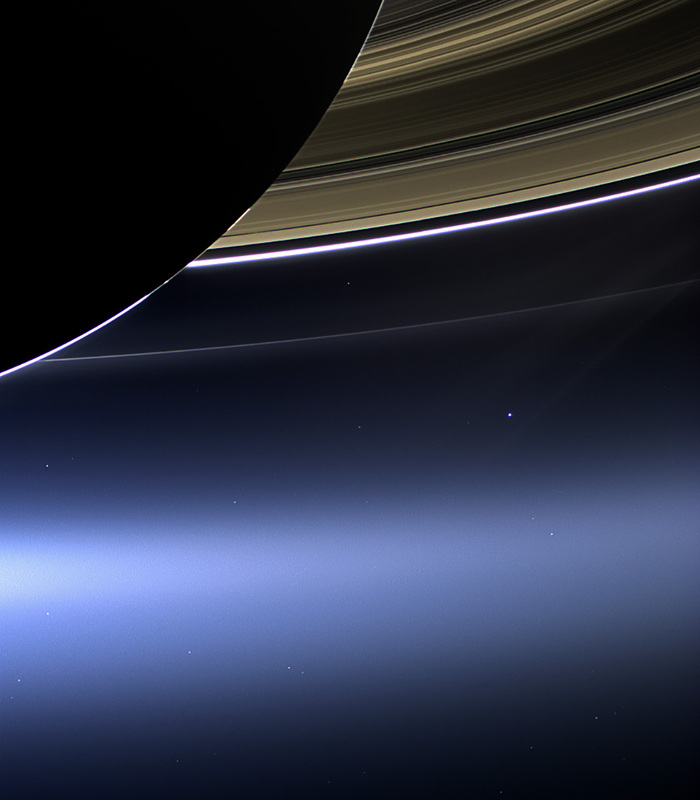 In the Cassini images Earth and the moon appear as mere dots – Earth a pale blue and the moon a stark white, visible between Saturn’s rings. It was the first time Cassini’s highest-resolution camera captured Earth and its moon as two distinct objects. In the MESSENGER image, Earth and the moon are less than a pixel, but appear very large because they are overexposed. Long exposures are required to capture as much light as possible from potentially dim objects. Consequently, bright objects in the field of view become saturated and appear artificially large. The Cassini-Huygens mission is a cooperative project of NASA, the European Space Agency and the Italian Space Agency. JPL designed, developed and assembled the Cassini orbiter and its two onboard cameras. The Johns Hopkins University Applied Physics Laboratory in Laurel, Md., designed and built MESSENGER under NASA’s Discovery Program. NASA’s Marshall Space Flight Center in Huntsville, Ala., manages the program for the agency’s Science Mission Directorate in Washington. JPL and APL manage their respective missions for NASA. The California Institute of Technology in Pasadena manages JPL for NASA. To view the MESSENGER images, visit: http://go.nasa.gov/16Vnt5G.